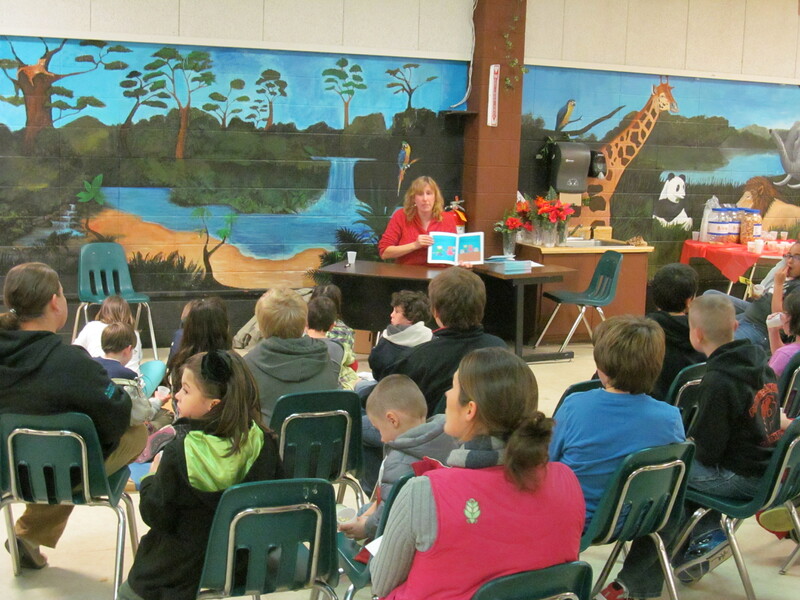 On Nov. 8, Stacey Longo, author and Co-chair of the New England Horror Writers, spoke to a couple of groups of students at the Putnam Middle School. 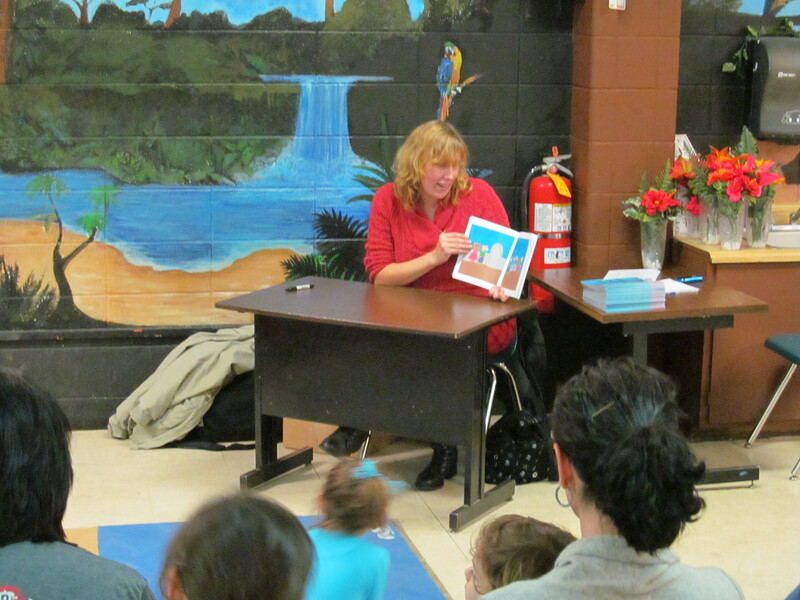 She read her children’s book, Pookie and the Lost and Found Friend, to them. 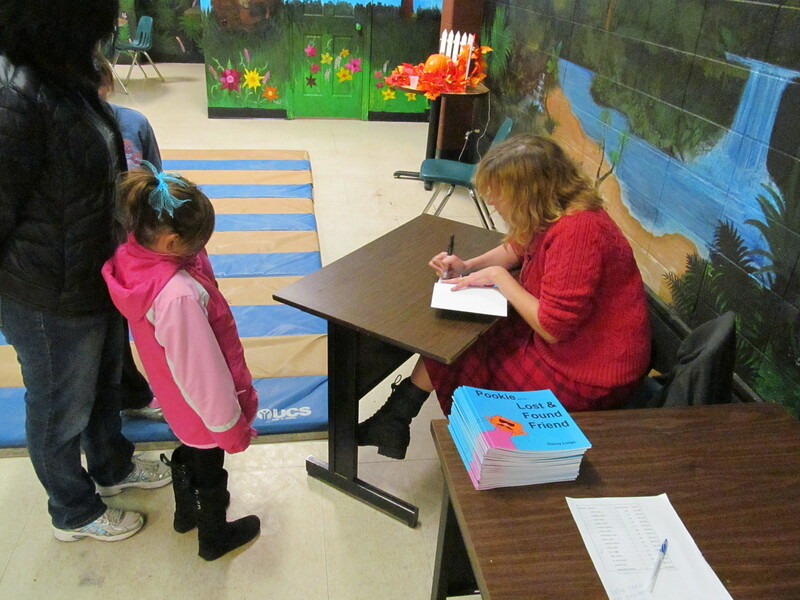 Author Stacey Longo signing a book for a young fan. Photo by Jason Harris. 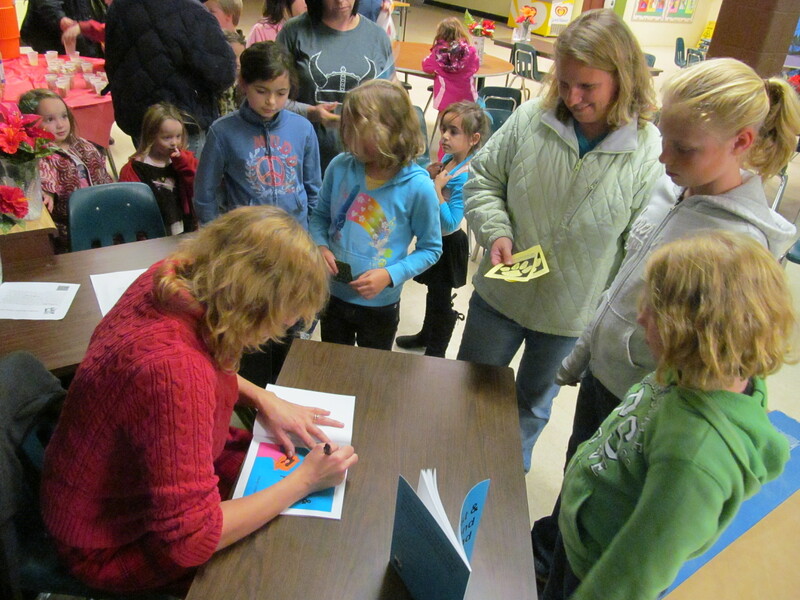 Author surrounded by readers. Photo by Jason Harris. 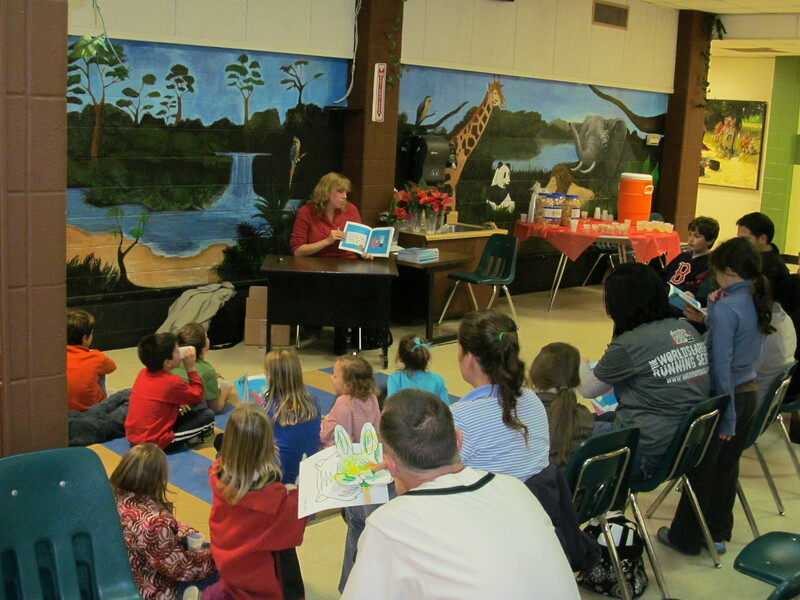 Author Stacey Longo reading her book, Pookie and the Lost and Found Friend. Photo by Jason Harris. Along with writing stories and books, Longo is the co-owner of a bookstore, Books and Boos, which opens its doors Tuesday, Nov. 20. The store is located at 514 Westchester Road in Colchester, Connecticut.